I love a good margarita! It’s one of those drinks that you can personalize to your own specific tastes.You want it sweet, add some fresh strawberry puree. You want it spicy, add a little sriracha. The sky is the limit with the flavor profiles that can go into a great margarita. 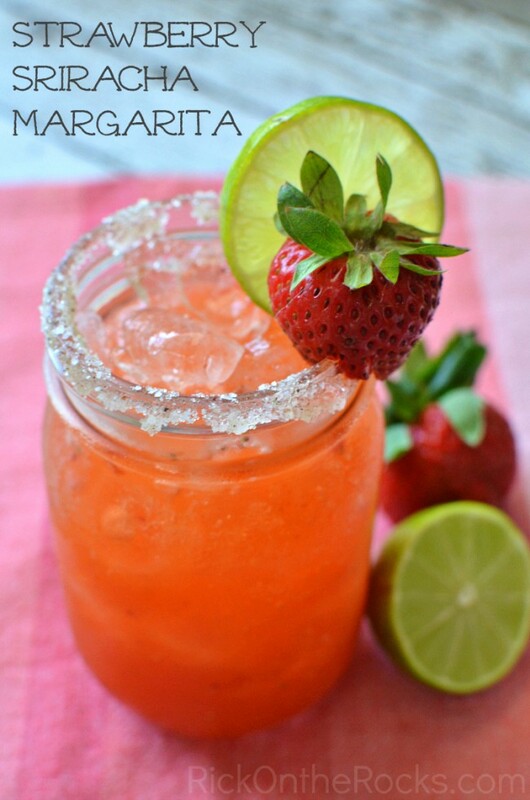 This Strawberry Sriracha Margarita is one of my favorite recipes. It’s the perfect blend of sweet and spicy. Throw in some fresh ingredients and you have a margarita worthy of any party or just hanging out at the house. I hope you enjoy it! Make a simple syrup by microwaving 2 tbsp sugar & 2 tbsp water for 20 seconds, stir vigorously and pour onto small plate. Fill the glass with ice and pour in the contents of the blender. Garnish with fresh lime and strawberry.